The following is a guest post from our friend John at Frugal Rules. If you are interested in guest posting at Club Thrifty, please see our guest posting guidelines. Welcome Club Thrifty readers! While Holly and Greg enjoy their resort vacation, they’re allowing me to share my musings on growing money with you. Let’s face it, not many of us want to put in 40-50 hour weeks forever; we want to be able to enjoy life as we get older. Whether that means you travel in retirement, volunteer or pick up new hobbies, many of us view retirement as a time to be able to enjoy the things we did not have the time for when we were younger. Mind you, I am not espousing a retirement where you sit on your a$$ watching life go by and not being a productive member of society, but one that you get to enjoy the fruits of being able to choose what you want to do because you have become financially independent. That begs the question – how do I get to that place where financial independence is a tangible reality? Whatever your answer is, it is incredibly shortsighted to think you’re going to get there by burying your head and putting your cash under your mattress. The key to growing wealth is investing it and taking on some risk. There is a common saying that goes, “Those who fail to plan, plan to fail.” This is ever true when it comes to growing wealth that lasts a lifetime and hopefully beyond. View this plan as you would using a map for a vacation. You won’t get to your destination without your map, and a plan is the same for saving for the future. As a part of my plan, I am investing in the stock market with hopes to build solid wealth as the years go on. Investing in the stock market is not fool-proof, nor is it free from risk, but being in the stock market (in some form or fashion) is vital to building wealth. If you’re not certain where to start investing, then the best choice might be some low-fee index funds or some solid dividend paying stocks. Either, in general, is a great way to get started at building wealth for the future. Unfortunately, your mattress offers very little in terms of wealth creation. The key to any plan to growing wealth almost certainly has to be time. Time is the greenhouse to your money’s growth. If you wait and wait, then you’re going to see the results and find your later years to be potentially more difficult because you HAVE to work as opposed to having the choice of whether or not you WANT to work. Don’t allow lack of massive funds to hold you back either. When it comes to saving for retirement, don’t make excuses. If you can only afford $50-100 per month to begin with, great, start with that and you’ll be amazed at how it works for you in the long run. That little bit invested now can reap good returns in the long run, plus it develops a discipline of saving and investing that will last a lifetime. Saving for retirement can be a daunting proposition, don’t let time passing you by make it even more difficult. The moral of the story is to start now! Nearly as important as time in regards to your investment plan is being fully diversified. I know that your co-worker might have given you a “hot stock tip” and you decided to throw everything at it. However, I am sad to say that wealth creation generally does not happen in this way. The stock market is known for being temperamental (just look at the past few years). You can, to a certain extent, weather those storms by being fully diversified among asset types and classifications. If investing in the stock market is not your thing, then there are many other things, like real estate for example, that you can invest in that will further diversify your overall portfolio. Like it or not, your mattress is unable to offer you the growth you need; being appropriately diversified is a much sounder approach. What are your thoughts? 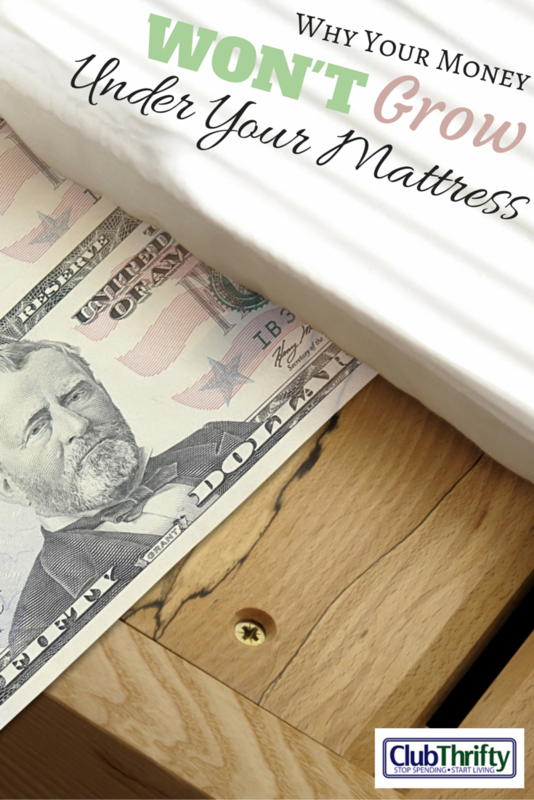 Have you been able to find that magic mattress yet, or do you have a plan for your wealth creation? John is the founder of Frugal Rules, a finance blog that regularly discusses investing, budgeting, and frugal living. John is a father, husband, and veteran of the financial services industry who’s passionate about helping people find freedom through frugality. Follow him on Twitter. NextWhen is Convenience Worth Your Money? Have You Heard of Pay-Per-Mile Car Insurance? This is definitely true. We’ve tried to diversify and grow our assets, but it’s definitely something that’s a continual task, not really just a “set it and forget it” thing. You’re exactly right Mrs. Pop. While I tend to say it’s important to stay the course with most investing, it’s vital to be on top of what’s going on so you can take action if need be. Sounds like a pretty sweet deal. Saving $13,000 while being a student is definitely commendable. What about those fancy Sleepmember mattresses? They cost so much you’d think they grew money! No, good points. I see people almost weekly who are over 70 and working full time. Many choose to because they enjoy it, and are pretty happy. Those who have to because of no retirement savings are pretty miserable and it takes about 30 seconds to tell the difference. It will be even harder for our generation, as I think social security will not be very helpful at all. I can only hope I’m doing the right things. Lol! I know Kim. My in-laws have one and I about choked when I heard the amount they spent, they could afford it though so it’s ok. I agree that it will be more difficult for our generation to enjoy “retirement” as the numbers do not point to good savings methods in general. Index funds are a great way for beginners to get their feet wet when it comes to the stock market. Although if you really want to make money you will eventually have to graduate to being self sufficient. That they are Glen. Though, I would tend to say that index funds are beneficial for many to be in as opposed to trying to beat the market. No magic mattress here sadly, I’m just working on a diversifying investments like everyone else. I imagine I will keep working into retirement, but only part-time doing what I love. It helps keep my mind active, the money is just a benefit of something I would otherwise enjoy. That’s great Alex! Diversification, when done appropriately is a great tool to help grow and weather ups and downs. I’ll probably look to do something part time as well in order to stay active and be a productive member of society. No magic mattress, although the hens with golden eggs aren’t performing too bad. Buying 10 and getting 7 more two months later plus free omelets is kind of magic. But since I followed your advice about diversification and won’t be opening an egg empire, that is only part of the wealth growth! Well said and to the point. You aren’t getting anywhere these days even having money in banks. Ain’t that the truth Thad! In fact, with inflation, you’re actually losing money. No magic mattress. I’m back in the small steps category. With freelancing these past 4 is years, I wasn’t putting anything in retirement, but not I’m going that slowly again. I hear ya Tonya, we were the same way last year! Though, those small steps are just as important as the big ones. Put together, those small steps can pay off in the future. Way to crush my dream of getting rich on hot stocks and magic wands…. Good tips. Without the plan and diversification you’re asking for trouble down the road. With interest rates so low, a case can be made for keeping money under your mattress. I always have my money working for me in the stock market. I hear you and that is a great point. With rates today you are losing money when inflation is included. That is just another reason, in my opinion, to be in the market. Saving for retirement is so important! We have one more bill to pay off (working on it! ), and then we are going to throw as much as possible to funding our retirement. If only they did Mackenzie! 🙂 We’re in the same boat as we were not able to actively save for it last year with us starting out business, but it has returned again this year. I have just began to focus on diversifying my assets and income to make sure that I continue to grow my net worth. I wish my wife would jump on board with me, but she doesn’t seem interested in any of it. It is like she sticks her money under the mattress. Great for you Grayson! It’s not a magic bullet, but it’s a great way to grow your net worth and help you as well as being able to ride out storms. For me retirement is going to be more of a 2 pronged approach. I’m saving through the normal retirement vehicles such as an IRA and 401k but I’m also build as side business right now that will also become a continual source of income as well. It’s this type of approach that you talk about John that I feel will bring a successful retirement without sitting around all day long and doing nothing. Great article John. That’s a great approach to take Chris! We’re looking to do something very similar ourselves as a way to keep us active, have multiple income streams and to continue entrepreneurship. I have adopted a solid policy that simply states: “Money is best employed making more money.” My chosen investment route is dividend growth stocks. So far, this strategy has been beneficial for me. I’m currently working on sizing up local real estate as a potential investment. So far, things aren’t looking too good for becoming a landlord where I live. If real estate doesn’t pan out, then I’ll just move down the list of asset classes and start running some numbers on the next one. That definitely is a solid plan to follow. I think real estate is also a great way to help further diversify you’re investment portfolio if you are able to do so. I’d never trust a hot tip from a mate. The stock market has made fools out of many people over the years. Plan your own strategy and stick to it. I’m not against taking advice from those who know better, but not from my mate at work. Great post John. Thanks Adam! That is the key, knowing who to listen to and who not to listen to. No sorry John, I haven’t found that magic mattress yet either. I do plan on creating one of sorts though. I’ve got a business model that should allow me to make money while I sleep. So, hopefully in the next ten years I will be able to achieve this, though it will be a lot of work. Nice post! If time is the main key to growing wealth, then rate of return on your investments has to rank a close second. 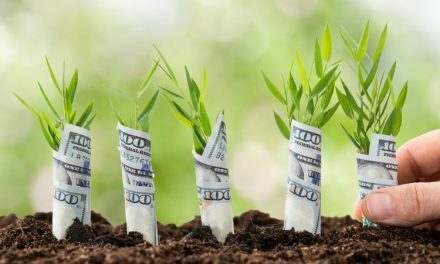 $50-100/month invested at 10% rate of return will create a much bigger number over time than the same amount invested at 6%. Very true Brian. The return is very important, and the combination is a powerful one. Any hot stock tip has already been digested by the market, so if you’ve heard about it through legal means then it’s already too late! Make sure you have some form of savings before investing, as well. Nothing worse than having to pull money out of investments if you could have avoided it. That’s just it…way too many people do not realize that. They think they have something on the “know” and will make money hand over fist. Having good savings is also vital before jumping into the market, great point! Great point John, time is so key in investing. If you start early, have a long-term approach, and leave the money alone you will easily weather the ups and downs. Thanks Kyle! Time really can go either way, it can work in your favor if you use it but it can also work against you if you do not start early enough. Excellent post, John! You hit it right on the nose! You can’t expect financial freedom to just fall into your lap. You have to proactive and yes, you have to take a little risk. The days of stuffing money in mattresses or regular savings accounts are long gone. As you said, investing in the stock market isn’t fool proof or risk-free, but is your best way to grow money. You need to be smart and do your due diligence. And don’t be afraid to ask for help – with the caveat that just because someone has some fancy acronyms behind their name (and yes, I have them too) doesn’t mean that he or she is automatically the right person for you. Interview lots of people and find the one who listens back. Thanks Shannon! You bring up a great point about interviewing advisors and make sure that they’re the right fit for you. I have worked with way too many retail investors in the past who’re in a bad advisor relationship and it was costing them in fees as well as lack of confidence that they were in the right vehicles for their needs. It just takes some time to interview some people to make sure they’re who you should entrust your money to.